T.J. Maxx is one of the largest upscale department store chains in the United States. While it started selling clothing, it has expanded its product portfolio to footwear, cosmetics, accessories, and housewares. Compared to its competitors, the chain sells products at a lower cost. Founded in 1976 by Bernard Cammarata under the popular discount retailer Zayre Corp., its first store opened in 1977. The chain stores continued to multiply especially under the new entity known today as TJX Companies, Inc. The parent company is publicly listed and makes T.J. Maxx a highly stable brand in terms of company value. The parent company is a Fortune 100 companies, thanks to the vastness of its operations overseas and its more than 230,000 employees. It has also received several awards as an employer including the Top Entry-Level Employer and Top Employer by Professional Women’s Magazine in 2014. In Canada, it was awarded as Best Employer and Great Place to Work in 2016. It was recently awarded as a Top 50 Employer by Equal Opportunity and gained the score of 100 on the 2017 Corporate Equality Index of the US in 2017. The company boasts of its business model that sets it apart from its competitors and the special culture that keeps the company whole. Aside from a vibrant workplace and employee in-store discounts, it offers optional health benefits, competitive paid vacation, scholarship program, and 401K plan for full-time employees. The 401K plan is also offered to part-time employees. Employees rate TJ Maxx highly as an employer because of its workplace environment, and the pay and benefits package. Some employees tagged the company as a family. Many also considered the company as a great place to work for students because of the flexible schedule options. How old do you have to be to work at T.J. Maxx? Any 16-year old and above can start to work at the stores as customer service associates. For the managerial position, the minimum age requirement is 18-years old. Customer Service/Store Associate: The position is at the front-end of stores. It mainly involves providing customer support in the stores from customer entry to customer exit. It also involves reaching team group objectives by working with the store managers and the team members. Candidates must be able to work independently and within a team. Loss Prevention Customer Service Associate: Candidate must be able to provide effective theft deterrence during shifts to assigned stores. This involves inspection of customer’s bags upon entry. This also involves undergoing routine inspection and in case of issues, reporting of alarms systems and store’s locking mechanisms. Experience criminal justice is preferred but not required. Utility Maintenance: The position involves performing basic preventive maintenance and repairs on various equipment including tagging machines, storage equipment, conveyor, and vehicles. Another part of the job is to perform handyman tasks such as plumbing, electrical, heating and carpentry. A minimum experience of 6 months on the same job is required in this position. Distribution Center Warehouse Associate: The position involves manual handling and moving of objects to and from trucks, floor levels. Objects maybe weighing 10 pounds to 50 pounds regularly and 60 pounds occasionally. Additional duties include matching receipts and purchase orders, packing and unpacking garments, sealing boxes for shipping, and sorting garments as needed. Competitive compensation package is available for candidates. Merchandise Controller: The major responsibilities include inspecting merchandise and ensuring legal requirements are met, and addressing Vendor Compliance issues. Other responsibilities include building and maintaining working relationship with associates, the management, and planning and allocation team to ensure smooth flow of merchandise movements. Special projects may also be assigned occasionally. Warehouse Associate: The main responsibilities include the processing of shipments and organization of the warehouse area according to set policies. This also involves replenishing shelves to ensure steady supply. This must be executed with the merchandising policies and standards set forth during training. Store Coordinator: The store coordinator is the purveyor of the company’s operational standards. Major responsibilities include updating stores on issues and opportunities on merchandise and fashion, reviewing merchandise presentation in a weekly schedule, and training store associates with the latest merchandise presentation. Maintenance Mechanics: The position involves performing maintenance and preventive maintenance of machineries in the stores and warehouse. This involves the ability to diagnose and troubleshoot equipment such as motors, conveyors, pumps, hydraulics, and other equipment. Vocational training is required and competitive package is offered. Distribution Center Supervisor: Manage the stores at the optimum level by engaging, developing and motivating associates through conducting regular performance reviews, interventions, and goal setting. The position also involves maintaining productivity and effectiveness at all levels. Candidates with Bachelor’s Degree is preferred for this position. Assistant Store Manager: The position involves assisting the Store Manager in the following areas: Operations, Merchandising, Human Resources and Customer Service. A major part of the job is managing the daily activity of the associates in terms of sales and customer service. This also involves hiring, training and monitoring the performance of associates. A two-year experience in the same position is required. Applicants with complete requirements may process applications in the store or by registering at the official careers website of the company. Signing up to the official careers website of the company is easy and encouraged for a smooth flow of application. Applicants can easily upload their resume and receive feedback between two to three days. On the online application form, applicants can click several job positions that they believe qualifies them to be a candidate. This allows recruitment to match the applicant to other positions that could be a better fit. Highlighting skillset on customer service and sales is a must for job positions on the stores. Highlighting leadership skills is advised for middle level management position. To prepare for the interview, candidates must ensure high level of communication skills. They must also be able to communicate a vibrant attitude during the interview as this corresponds with the company’s culture. The company’s culture is described by employees as fun and growth-oriented. Opportunities for growth are plenty. The Runway events are a major event every season. The closest event is on March for the spring season. The company is known for carrying designer clothes sold at a lower cost compared to competitors. Customer loyalty is a key competency of the company. 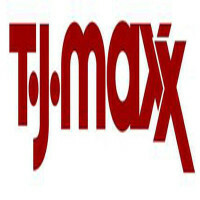 T.J. Maxx pioneered initiatives such as the continuous pay of employees during disaster recovery and stores are closed. It has also taken steps to sustainable growth through its supply chain management efforts. 1 How old do you have to be to work at T.J. Maxx?